The focus of the Monterey Bay Sanctuary Scenic Trail is a rails-with-trails project that extended about 70 miles along the entire length of Santa Cruz County around the Monterey Bay. The trail is planned for installation along a rail line that would maintain low-speed freight rail operations. 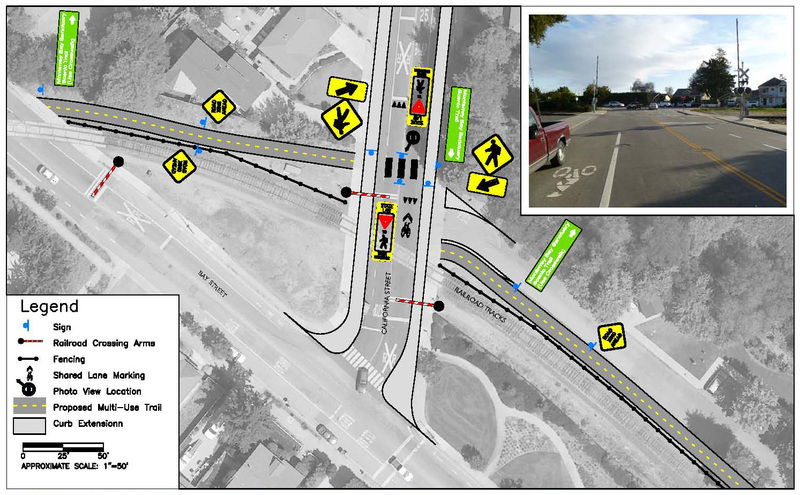 W-Trans served as the traffic engineer and evaluated 80-plus trail crossings of various streets, driveways, bridges, and railroad tracks in order to identify design features of each crossing. A warrant process was used to conduct the evaluation; traffic operational characteristics of each crossing location were obtained, including average daily traffic volumes, vehicle crossing speeds, crossing sight distances, and pedestrian activity levels at each location. The project included coordination with state and local engineers, together with California Public Utility Commission (CPUC) safety engineers. 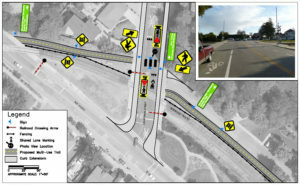 Concept designs were developed for many of the crossing locations indicating recommended warning device locations, signing and striping, and pavement markings to provide for safe pedestrian and bicycle crossings.